The past couple weeks have been rough! I am feeling physically and emotionally exhausted. I’ve been trying to juggle essay grading, grant/proposal writing, preparing to present a conference paper, and reading, reading, and more reading. Not that this is abnormal for grad school, but usually I can keep my spirits up through all of the stress and craziness! If I think about it, I’ve been feeling this way all semester. It is no coincidence that I am struggling at this particular point in my career – the point when I am expected to transition from someone who just consumes history to someone who produces history. And let me tell you that is a lot of pressure! It is also uncomfortable. I feel like I am stuck at a crossroads – I have done enough research to propose original arguments and ideas (and I am being invited to share those ideas), but I still feel like there is so much more I could know or should know! At some point you just have to resign yourself to the idea that you can ever know it all, or even enough. Yet it is equally difficult to put yourself out there and articulate your ideas so early in the process (but you have to start somewhere right?). For me, all of these feelings and uncertainties came to a head this week as I struggled to complete a conference paper I am presenting next week (at a pretty important professional conference). The more pressure I put on myself, the worse the paper went. Fortunately, I have an amazing advisor (actually I am so fortunate because all of my mentors are incredible). She read over my paper and helped me regroup and refocus. She also passed on some words of wisdom I thought I should share. Especially if you are ever feeling down and discouraged. 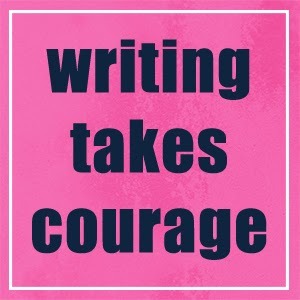 Remember, “writing takes courage,” and to “be humble in your assumptions, but bold in your interpretations.” So insightful, right? 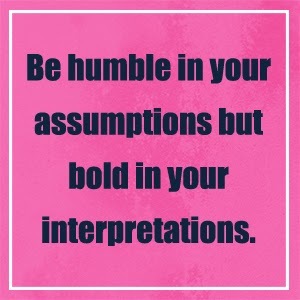 I think we often overcompensate when we are feeling insecure and unsure by being bold in our assumptions. The rest of this week will consist of more essay grading and writing, but it I will also reflect on these wise words as I pick myself up, dust myself off, and get back to work. Because, as I have said before, that is one of the keys to graduate school success!